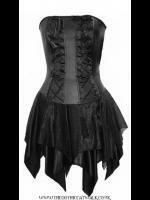 Gothic Dresses - We have a wide range of women's gothic and alternative dresses in this section including long floaty romantic gothic ballgowns to rockabilly pin-up style dresses. 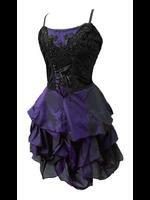 Our dresses are made from fabrics ranging from velvet, satin, chiffon, net and lace to PVC, fishnet and cotton. 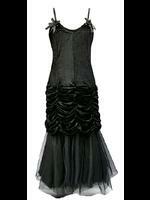 Some are suitable for every day wear whereas others are ideal for a special occasion such as a party, a ball or a wedding. 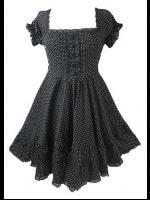 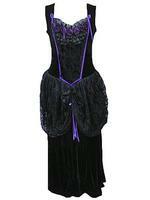 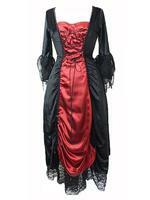 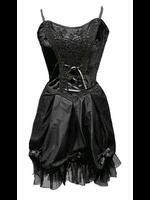 Lots of our dresses would be perfect for the gothic bride herself.